Fr. 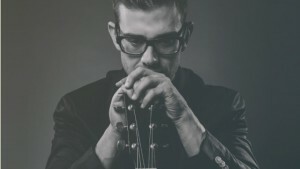 Rob Galea is a Maltese Catholic priest and a Christian singer/songwriter, serving in Australia. Read his blog post below announcing the release of his new album. This October 25th I will be releasing what I consider to be my best music project yet. Four years in the making and we finally have something beautiful to show for it. This acoustic album is the fruit of the first four years of my priestly ministry – the trials, pains, joys and successes. These songs are the stories behind the encounters with God and those moments desperately seeking His face when He is nowhere to be found. These songs are testimonies of my experience attempting to serve and be served by the people of God. Something About You is the fruit of my journey as a new Catholic priest. There are songs about the unconditional love of Jesus, the struggle to pray and ‘say something about God.' There are also songs for Communion and the Liturgy as well as a song titled ‘Bring Us To Our Knees’ which seeks to deal with the issue of child sexual abuse within the Catholic Church. The late Bishop Joe Grech’s** voice also features in one of the songs. This record bears my soul and my passion for the Church to come alive in the love of the Lord. This album will help you think, pray and reflect. It will be a resource for school prayer, liturgy and meditation as well as be good company on your long drives to and from work. The 11 tracks in the Something About You album are suitable for all ages and walks of life and involve the work of Boris Cezek (Eurovision) and Gary Pinto (X Factor Australia). Something About You is my eighth music project(Closer , What A Day , Divine Mercy Chaplet , Reach Out , Reach Out DVD/CD , Sheet Music Collection , Glorify Mass Setting ) and will be released and available for order from the 25th of October 2014. Order your copy of Something About You or any of my earlier albums from my website. All proceeds go to fund outreach projects. **Editor’s note: Bishop Joe Grech was a Maltese priest who, like Fr. Rob moved to Melbourne, Australia for further studies. After his ordination in Malta in 1974, he returned to Melbourne to serve as a priest. In March 2001 he was appointed bishop of Fr. Rob’s diocese of Sandhurst, Australia. He died from a blood disorder in December 2010.